Too many companies work with bad numbers. They only discover this fact after someone drills in and shows them they’re losing money in areas they assumed were profitable. This scenario is so prevalent that I suggest you review your processes and identify areas of inaccuracy. Accuracy is a function of assumptions you make and the way you manage transactions. Let’s define these terms. Assumption: A method by which numbers are handled. For instance, charging labor to profit centers regardless of where that labor actually works on a given day. This approach makes it easier for accounting but lousy for job costing. Transaction: A step in the workflow. 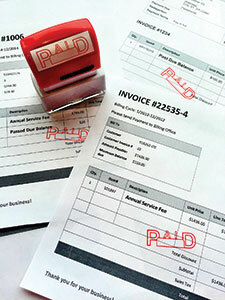 There are five major transactions in business: estimate, work order/ticket, purchase, time sheet and invoice. Mistakes can happen anywhere in this flow, which can compromise your data. To get trustworthy numbers you need to do two things: minimize assumptions and manage transactions better. The best way to minimize assumptions in accounting is to use a “ticketing” system. A ticketing systems tracks revenue and costs on a job ticket. The basic concept is no ticket, no work. Revenue is earned as actual costs are incurred—not as revenue is invoiced and the labor and materials are paid. If your system cannot do this, then your financials will provide a distorted picture and provide ripe ground for internal arguments about expense “allocation” and actual performance. (This explains why your people keep track of their own numbers.) In a ticket system there are no expense assumptions about what labor and which materials get “allocated” to the profit center. Stop abdicating paperwork to your administrative staff. Sales and operations staff must be involved in managing transactions, including the estimate, work order/ticket, purchase, time sheet and invoice. Salesmen and account managers initiate the estimate and create the work ticket. Operations managers make the purchases and manage the time sheets. Your administrative staff has very little to do with the creation, execution and review of any of these transactions. They only see things after they happen. To manage it correctly, someone initiates a transaction with proper and complete information, someone reviews the transaction to make certain it reflects what actually happened and someone must approve and finalize the transaction by reviewing the information before the financials are closed. Together, administration and sales/operations must manage the workflow while in progress or else you will have a mess at the end of the month. I know. It’s so much work. And people say landscaping is an easy business. It’s not. It’s a lot of work to get numbers right. And yes, it costs money. But if you don’t get it right, the cost of “bad numbers” can be fatal. Make a commitment to review your assumptions and audit your workflow process. Getting your numbers right is worth the effort.